‘Maimouna – The life in front of me’ explores efforts to change attitudes to the traditional practice of female circumcision. The film follows the work of Maimouna, a young woman from Burkina Faso as she visits villages and families as a part of an NGO’s education and awareness programme on female circumcision. On her journey Maimouna explores the many myths and contradictions about female circumcision within her own culture. Maimouna went out to teach people but in the end, she learnt most about herself. This film seeks to give voice to Maimouna and other women who have been traditionally silenced and have never had the opportunity to speak for themselves. Maimouna’s story, which also tells the story of her society, is above all, a story of hope. Fabiola Maldonado was born 1975 in Tegucigalpa, Honduras. She completed Communications Science and Advertising Studies in Honduras, then completed Film studies at the International Film and Television School in San Antonio de los Baños, Cuba. In 2003 she received a DAAD Scholarship for postgraduate Studies in Cinematography at the HFF in Munich. In 2004 she was guest student at theUniversity of Applied Sciences (HdM) in Stuttgart. 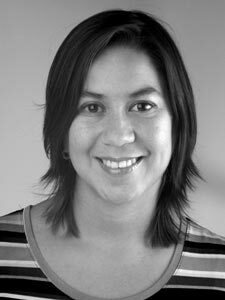 Her film credits include Cinematography for documentary and fiction films, among them the Honduran Feature Anita la Cazadora de Insectos and the prize winning short film Yo tuve un Cerdo llamado Rubiel. Maimouna – the life in front of me is her debut film as director.